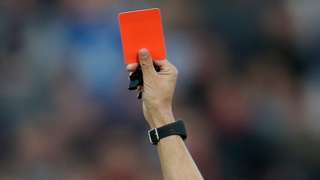 Investors who collectively lost millions to an international Ponzi scheme have been awarded over £785,000 in compensation by the Royal Court. 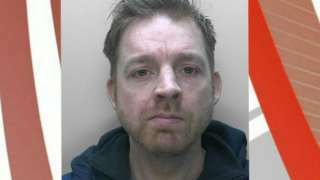 Jason Le Chevere was found guilty of sexually assaulting two girls dating back to 2006. Politicians in Jersey have rejected proposals to make more money available for a better pay rise in negotiations with striking public sector unions. It comes after hundreds of public sector workers gathered in the Royal Square on Tuesday in protest over pay. Teaching union members said they were unhappy with the last offer of a 1.3% increase, plus cost of living pay offer for 2019. The States Employment Board had previously said that teachers could not expect to get more in pay rises than other public sector workers. However, a debate on freeing up more money for negotiations was started on Tuesday afternoon. The proposals to use the island's savings were rejected in the States by 27 votes to 20. Guernsey's government is prepared for a no-deal Brexit, the island's most senior politician has told the States Assembly. Deputy Gavin St Pier re-assured islanders under a no-deal scenario shortages in food, fuel and medicines were not expected. He admitted, however, there "may be disruption and a decrease in choice". MPs are today preparing to vote for their preferred Brexit option, including leaving the European Union on April 12 without a deal. As part of the island's no-deal planning, Guernsey is seeking to have the UK's membership of the Word Trade Organization extended. Deputy St Pier said "complex negotiations" were ongoing on the matter, but a delay beyond Brexit day was "unlikely" to create issues. Replacing Guernsey's undersea electricity cable to Jersey will cost £30m, a senior island politician has said. A fault in October has meant the island has been burning diesel to meet the majority of the island's power demands at an additional cost of up to £1m a month, it emerged. Reliance on local power generation has also seen emissions increase four fold, States Trading Supervisory Board President Peter Ferbrache told the assembly. "There remain significant concerns over the cable's integrity," he said. Work is already under way to manufacture its replacement after the fault in October caused an island-wide power cut. The cable is expected to be operating by October at a cost of £30m - funded by borrowing and £15m from the proceeds of the States' bond. The replacement cable will "restore very quickly a resilient supply of low-carbon and affordable electricity imports to the Island," Deputy Ferbrache added. An Alderney States member has described a current disagreement between Aurigny and Guernsey's Economic Development Committee as "incredulous". The Guernsey States-owned airline said it was disappointed and frustrated not to win a contract to operate Alderney's flights between Guernsey and Southampton as part of a public service obligation (PSO) bid. 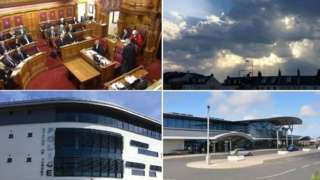 Four different submissions were made but no bids were found to be suitable by Guernsey States. However, it also emerged that the airline offered a reduced service to Alderney at a greater cost than it was currently operating at. Louis Jean has called for a "proper inquiry" because "we're right in the middle of this", with transport links facing potential difficulties if the situation is not resolved. In a statement, Aurigny said that, from its perspective, the tender process was a confidential matter and details should not have been disclosed by Economic Development. It noted that there would be a revised PSO tender in due course and said it did not wish to prejudice this new process. The puffins on Burhou, off Alderney, will be live-streamed online again this year, with new cameras tracking their movements through the breeding season. The Alderney Wildlife Trust said it had invested in the new equipment that would watch their breeding patterns and broadcast it. Roland Gauvain, from the trust, said the work would allow people to see the birds' progress and discourage people trying to visit trips to Burhou that could upset and disrupt the puffins. There is support among ministers in Jersey for the introduction of gender pay reporting. In the UK, firms with more than 250 staff publish details of the pay gap - the difference between the average earnings of men and women. Jersey companies could publish the difference between the wages they pay men and women. But the States could also gather the information from sources such as income tax or social security returns rather than employers' returns. Land speed record holding motorcyclist and business entrepreneur Zef Eisenberg has accused his former head of engineering of making a vexatious complaint to planners after they fell out. Live coverage of the States of Guernsey and analysis from BBC Radio Guernsey. 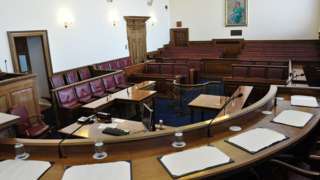 Jersey's States members are expected to decide on Wednesday whether to use the island's savings to give public sector workers a better pay rise. Teachers are due back in the island's classrooms on Wednesday morning, a day after most schools were closed due to recent strikes (pictured). Teaching union members said they were unhappy with the latest 1.3% plus cost of living pay offer for 2019. Politicians are due to continue discussing the matter from 09:30. There have been 81 cases of potential pollution in Jersey's water since the start of 2019, but officials say drinking water remains unaffected. 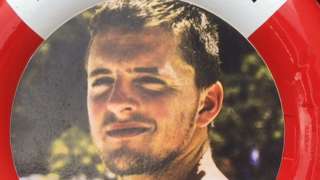 Jersey Water Chief Operating Officer Helier Smith said islanders should not worry about drinking mains water as no pollution had been found in treated sites. Any mist and fog patches will lift to leave it dry with sunny periods and patchy cloud. Winds will be light and variable in direction. Maximum temperature: 8 to 11C (46 to 52F). The States of Guernsey's March meeting starts on Wednesday. The biggest items on the agenda include a multimillion-pound project to modernise the island's hospital, with members to be told that the work could see up to £93m spent over the next decade. 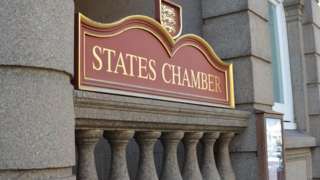 The rights of residents from smaller islands living in Guernsey, and laws designed to protect the island's independence are also on the agenda. The meeting will start at 09:30.